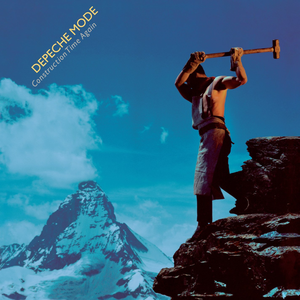 Construction Time Again is the third studio album by English electronic music band Depeche Mode, released on 22 August 1983 by Mute Records. This was the first Depeche Mode album with Alan Wilder, who wrote the songs “Two Minute Warning” and “The Landscape Is Changing”, as well as the B-side “Fools”. The title comes from the second line of the first verse of the track “Pipeline”. It was supported by the Construction Time Again Tour. The album was recorded at John Foxx’s Garden Studios in London, engineered by Gareth Jones (who had also engineered Foxx’s 1980 album Metamatic) and mixed at the Hansa Tonstudio in Berlin.